Eligible professionals, eligible hospitals, and critical access hospitals (CAHs) participating in the Medicare EHR Incentive Program can attest through the CMS Registration and Attestation System. Providers participating in the Medicaid EHR Incentive Program should refer to their respective states for attestation information and deadlines. Certain Medicaid eligible professionals may use the Registration and Attestation System as an alternate attestation method to avoid the Medicare payment adjustment (80 FR 62900 through 62901). Eligible Professionals may select an EHR reporting period of any continuous 90 days from January 1, 2015 (the start of the 2015 calendar year) through December 31, 2015. Eligible Hospitals/CAHs may select an EHR reporting period of any continuous 90 days from October 1, 2014 (the start of the federal fiscal year) through December 31, 2015. 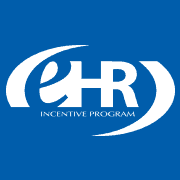 Visit the Registration and Attestation the 2015 Program Requirements pages on the CMS EHR Incentive Programs website. For attestation questions, please contact the EHR Information Center Help Desk at (888) 734-6433/ TTY: (888) 734-6563. The hours of operation are Monday to Friday between 7:30 a.m. and 6:30 p.m. EST.